When IBM, Google, Mellanox, NVIDIA and Tyan founded OpenPOWER Foundation three years ago, the initiative was supported by only two server manufacturers: Google, which builds servers for itself, and Tyan. Today, OpenPOWER has expanded significantly in terms of the number of members. 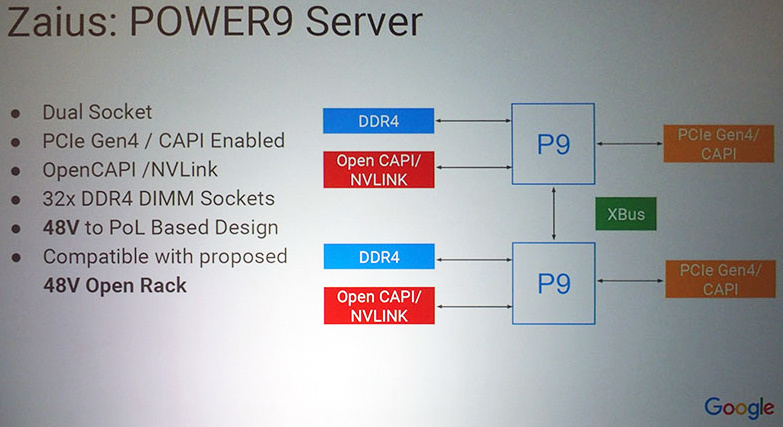 Moreover, major server producers, including Inventec, Supermicro, Wistron and some others are developing POWER8-based servers under the OpenPOWER initiative. Last week IBM disclosed plans to expand the lineup of its Power LC servers that are based on the POWER8 microprocessors as well as Linux operating system. In particular, the company intends to add Open Compute Project-compliant systems for big data analytics to the Power Systems LC portfolio, which will be important for the company as well as Open Compute Project in general. In addition, Supermicro will develop two servers that will be sold under IBM’s Power LC brand. Supermicro is currently working on a 2-way IBM POWER8-based 2U server with up to 512 GB of DDR4 memory, 12 LFF/SFF hot-swap drive bays, and either two NVIDIA Tesla K80 or two Alpha-Data KU3 CAPI adapters (based on the Xilinx UltraScale KU115 FPGA). Another machine that Supermicro is working on is a 1U server featuring two IBM POWER8 processors, 512 GB of DDR4 memory, and either one NVIDIA Tesla K80 or two Alpha-Data KU3 CAPI adapters, as well as four hot-swap drive bays. The servers feature Supermicro’s “Ultra” architecture, which enables the company to maximize density of devices inside its chassis, which means greater expansion capabilities and flexibility for the platform. Right now, IBM sells the Power S812LC (1-way system with up to 10 cores, up to 1 TB of memory and up to 14 storage devices in 1U form-factor) and the Power S822LC (2-way system with up to 20 cores, up to 1 TB of memory, two NVIDIA Tesla K80 accelerators in 2U form-factor) developed by Tyan and Wistron, respectively. Adding Supermicro, one of the world’s largest producers of x86 servers, to the list of POWER8 suppliers is an important step for IBM. Still, at present, it does not look like Supermicro plans to sell POWER8-based servers under its own brand directly. Supermicro is not the only big server maker to develop POWER8-based machines. Inventec, a major Taiwan-based ODM that sells, inter alia, servers to such companies as Dell and Lenovo, is also working on an OpenPOWER project. The platform will be based on one IBM POWER8 CPU with NV-Link as well as two NVIDIA Tesla P100 compute accelerators. The machine will also feature 16 DDR4 DIMMs (thanks to IBM’s Centaur memory buffer chip) and will thus support a lot of memory (at least, for a 1-way system). Inventec’s POWER8-based platform is designed primarily for high-performance computing (HPC) and it remains to be seen in what form it will actually reach the market (and whether it will reach it at all). Right now, this is only a motherboard project, therefore, it could be a prototype for evaluation by customers, or a prototype for an undisclosed interested party (which is also interesting, given Inventec’s list of customers). 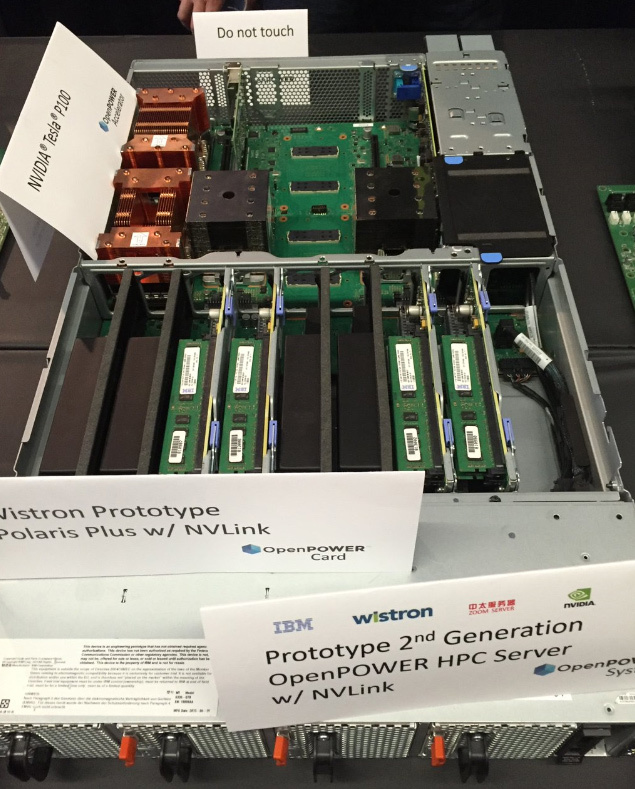 Wistron, which is another major Taiwan-based server ODM, is working with NVIDIA, IBM and Mellanox on a prototype of a 2-way IBM POWER8-based machine with four Tesla P100 accelerators aimed at HPC applications which we told you about last week. However, the company is developing three more OpenPOWER products. The first product, available today, is Wistron Polaris (co-developed with E4 Computer Engineering), a 2-way 2U system featuring IBM POWER8 CPUs with CAPI support. The Polaris is aimed primarily at HPC applications. Later on, Wistron plans to offer its Polaris Plus, which will resemble the machine co-developed with IBM and NVIDIA: it will feature two POWER8 processors with NVLink as well as four NVIDIA Tesla accelerators featuring Pascal architecture. Finally, the company is working on the Dark King project, a 4-way 4U server with POWER8 CPUs, 128 DIMMs (and several terabytes of memory) and CAPI support. The Dark King will be designed for large-scale data analysis. Speaking of E4, it naturally offers what it co-developed with Wistron: the E5 OP205 2-way 2U server with support for CAPI accelerators for various industries that require high-performance computing. Another noteworthy company, which is designing two POWER8-based servers, is China-based Inspur. Inspur is among the largest makers of servers in the country. The manufacturer is working on 1-way and 2-way 4U machines for new data center and big data applications. Not a lot of information is known about Inspur’s 2-way IBM POWER8 4U server, except the fact that it will support up to 2 TB of DDR3 memory (using 64 DIMMs). Undisclosed partners from OpenPOWER Foundation also helped Beijing Neu Cloud Oriental System Technology to develop the NL2200 2-way server that supports IBM POWER8 chips with up to 12 cores, up to 1 TB of memory, two GPU-based compute accelerators, two hard drives, a PCIe-based SSD as well as a 100 Gbps Infiniband adapter. Such machine could be used for HPC and other applications and its development just shows that some China-based companies are investing into OpenPOWER. 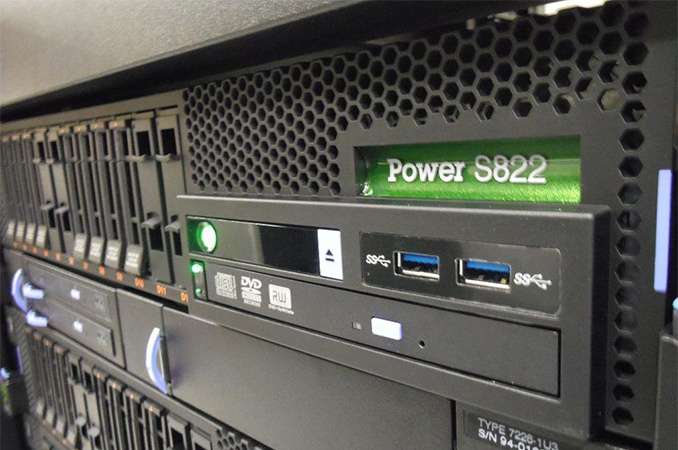 One more Chinese server maker, which demonstrated its products at OpenPOWER’s Summit last week, was Zoom Server. They showcased their Redpower C210/C220 and P210 machines. The C210/C220 is a 2-way system with up to 12 storage devices, which is aimed at data storage, database and other applications. Meanwhile, the P210 by contrast is a more advanced server for HPC, which is powered by two IBM Power8+ CPUs that support four NVIDIA Tesla compute processors with NVLink (e.g., Tesla P100) and up to 1 TB of memory. While three server makers from China is not a lot, keep in mind that OpenPOWER Foundation is only several years old and the vast majority of datacenter owners are not familiar with IBM’s POWER8 processors. Therefore, the fact that Inspur and smaller companies are building POWER8-based systems could show potential and viable performance offered by such servers, but not that they are gaining market share just yet. In addition to custom systems from large server manufacturers, a number of companies (including Mark III Systems, Penguin Computing and Stack Velocity) are also offering/working on Open Compute Project-compliant OpenPOWER systems. Such machines are important because server makers will sell them to software developers, who would like to optimize their programs for IBM’s POWER8, as well as to companies who would like to try POWER-based systems. In the long term, this could help increase market share of IBM’s POWER8 platforms in datacenters. For example, Penguin Computing offers the Magna 2001 for software development, the Magna 1015 (1-way IBM POWER8) for Open Rack infrastructure and virtualization workloads as well as the Magna 2002 (2-way IBM POWER8, NVIDIA Tesla K80 or M40 accelerator) for accelerated computing and machine learning applications. Mark III Systems will offer IBM POWER8-based servers which will rely on the Open Compute Project design specification and will follow the Barreleye server design by Rackspace (2-way IBM POWER8, 32 DIMMs, CAPI, etc.). Meanwhile, StackVelocity intends to sell a machine based on the Barreleye server design as well as Saba 2U system with POWER8 and CAPI accelerators for big data analytics and HPC applications. It is also noteworthy that Google and Rackspace are already working on server architecture specification based on the upcoming IBM POWER9 microprocessors, which may indicate that the two companies are interested in the chip as well as the next-gen POWER servers. 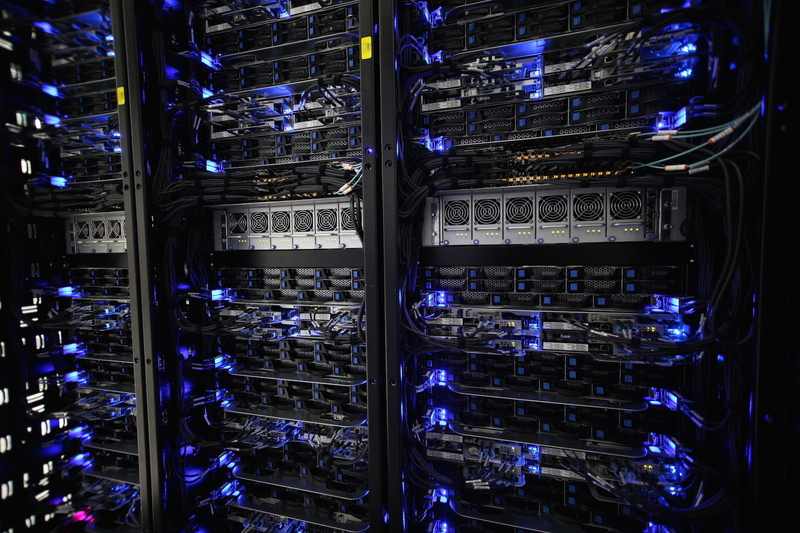 This custom server plan developed by Google and Rackspace is code-named Zaius. The machine will not come online until the POWER9 CPUs are officially released by IBM in the roadmaps, but Google is already sharing some of its details. The Zaius will be based on two IBM POWER9 processors (with an unknown amount of cores) and will feature 32 DDR4 DIMM slots (which helps to double the amount of memory vs. Barreley). 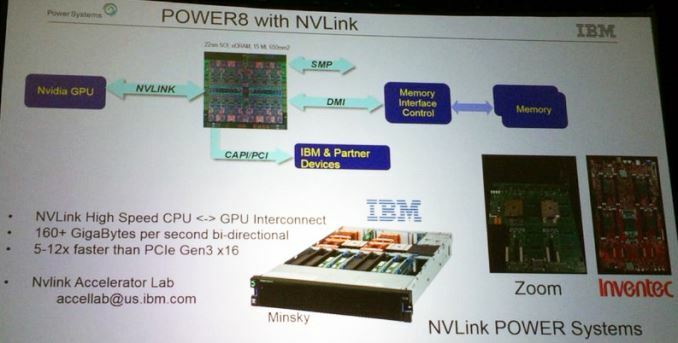 The POWER9 processors will support both NVLink and CAPI, therefore, the Zaius will be compatible not only with FPGA-based accelerators but also with NVIDIA’s Tesla P100 and other upcoming GPU-based compute solutions from the company. Such compatibility will let Google and Rackspace deploy NVIDIA’s Tesla processors more broadly than today. What is important is that the POWER9 are also expected to bring support for PCIe 4.0 next year, which means higher bandwidth for storage and various accelerators. The Zaius server will be compatible with proposed Open Rack 48V and will be 1.25U in height. It will be able to house two full-length full-height PCIe 4.0 x16 cards, one half-length half-height PCIe 4.0 x16 card, one device connected using a mezzanine PCIe 4.0 x16-based OCP connector as well as up to 15 2.5” SAS/SATA/NVME storage devices. According to Google, many of its cloud services, including Gmail, are already processed by systems featuring IBM’s Power8 processors. Apparently, the company finds performance of these CPUs competitive and IBM’s microprocessor roadmap promising, which is why it is co-developing POWER9-based server with Rackspace. A long-term commitment from companies like Google and Rackspace is not something to underestimate. It shows that two major users of servers plan to continue adopting IBM POWER-supporting software and hardware, thus, helping to create an alternative for Intel’s Xeon platform (which is important for the market in general). Sources: OpenPOWER Foundation, Nikkei IT Pro. Image Sources: IBM Power Systems Japan, Rackpace, Nikkei IT Pro.